A fabulous source of free-radical destroying antioxidants. Anthocynanins & Flavonoids help reduce heart disease and improve circulation. The antioxidants, anthocyanins & flavonoids combine to keep the skin radiant. Fibre helps control blood sugars & keeps the bowels healthy. Our Acai powder is made from premium grade Acai pulp and freeze-dried to lock in an abundance of nutrients. It’s full of antioxidants, essential nutrients, dietary fibre and Omega fatty acids to help you feel great! A staple of Amazon natives for hundreds of years Acai berries were largely unheard of outside of Brazil until very recently. As its fruit loses its high nutritional content only 24 hours after harvest, this potent super food was only consumed within the close confines of the Amazon until the early 1990s. Now snap frozen upon harvest, the rest of the world can enjoy the taste and health benefits this amazing berry have to offer. Always fresh. It never disappoints. Really great on muesli or in smoothies. The family really misses it when we run out. IIt just tastes soooooo good! Like fresh and sweet with a pinch of rainforest!!!! Sprinkle it on anything compatible and it works like magic!!!!!!!!!! I would recommend it to anyone and use it as gifts for anyone!!!!!!!!! Yeah!!!!!!!!!!!!! I’ve tried a number of different acai powders, but this is by far the best. It’s great value for money, is available in a decent volume and is delivered nice and quick. 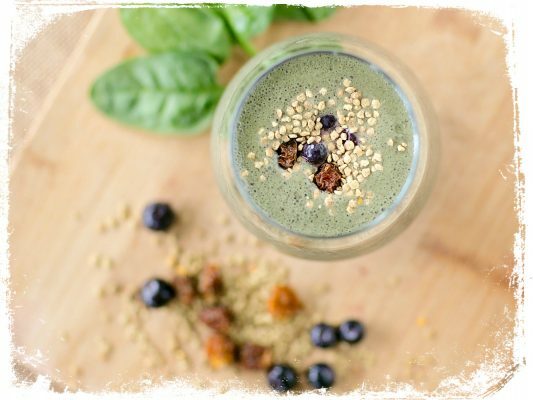 Oh and of course it tastes great – fantastic for a pick-me-up with yoghurt or in a smoothie …. the best way to boost your antioxidants.. Relatives of the blueberry and cranberry, these super food berries are considered one of the richest sources of antioxidants on the planet. The fruit is harvested from a palm, which grows across 2.5 million hectares of Amazon rainforest. In Belem Do Para, the capital of Brazil, acai juice consumption outnumbers that of milk. More than 200,000 litres are consumed by its inhabitants every year. Our Acai berries are sourced from sustainably farmed crops where the powder is USDA Certified as 100% organic with no additives or fillers. 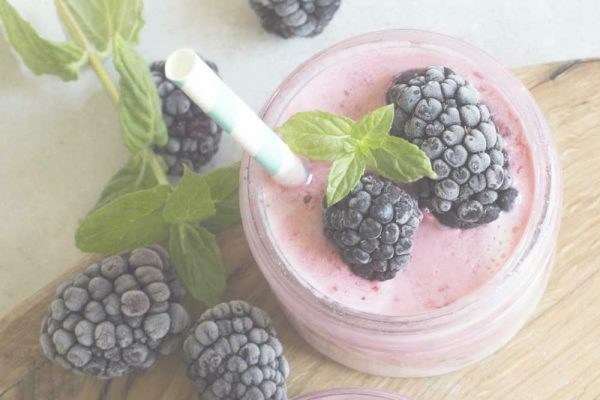 One of the healthiest berries you will find, this super food is full of antioxidants, high in fibre and rich in anthocyanins, essential fatty acids and vitamins whilst also containing very little sugar. With ten times more antioxidants than red grapes, twice more than blueberries and thirty times that of pomegranates, Acai berries have been shown to promote anti-aging, give the immune system a kick-start and can also help reduce the risk of heart disease. 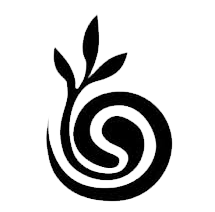 Antioxidants eradicate free radicals, unstable chemicals that damage cell membranes and attack healthy cells which may lead to disease and damage of the body. This damage is thought to be a contributor to major diseases such as heart disease and cancer amongst other ailments. These amazing fruits also contain a large amount of natural fibre, which binds to cholesterol and helps the body expel it. Fibre is known to reduce blood pressure and regulate blood sugar, helping to prevent heart disease and improve intestinal health, while also aiding weight loss. The berries are rich in anthocyanins and flavonoids, known for their abundance in red wine and dark red/purple fruits. Studies have shown these chemicals can reduce heart disease significantly and promote blood clotting and improve blood circulation throughout the body. Start with one teaspoon and work up to two teaspoons (3 grams) gradually. Add to your favourite juice or smoothie for an instant energy boost and sustenance throughout the day. Can also be added to yoghurt or ice-cream or sprinkled over your morning muesli. Ingredients:100% Organically Grown and Freeze dried Acai. Our Organic Acai Powder comes from the amazon, where Acai berries have been consumed by the native tribes for thousands of years. 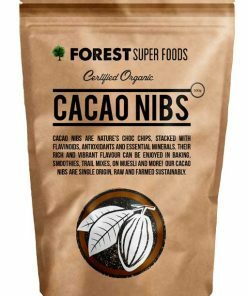 It is certified organic and fair trade so you know it supports local farmers. 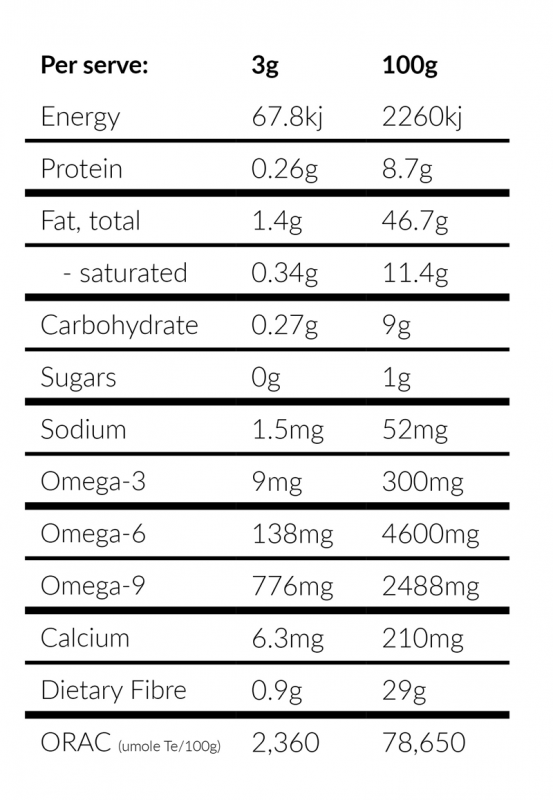 There are no fillers or additives of any kind and it is freeze-dried to ensure maximum nutritional retention. The Acai powder arrived quickly; and tastes great. I am only using a small amount at a time, so I think the quantity should last me quite some time. This was my first purchase with Forest Super Foods, and I will definitely be ordering the Acai powder again. Gives a lovely colour to my post-workout smoothies. 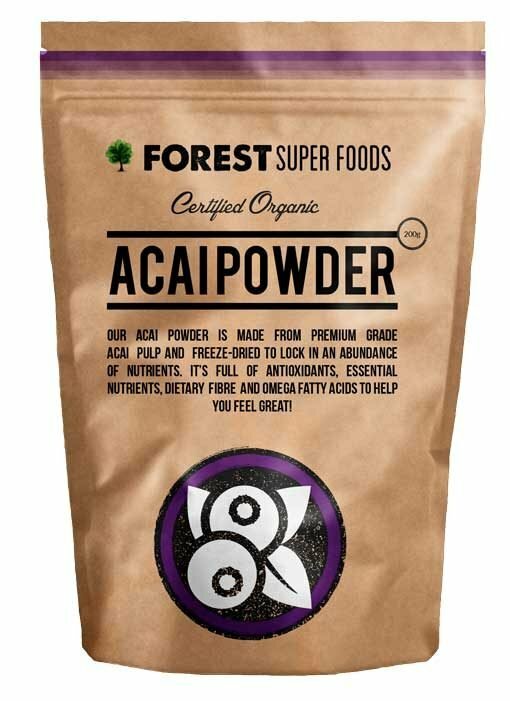 Good quality acai powder, use on my cereal in the mornings and sometimes use it in smoothies. Very fast delivery and very happy customer here. Thanks. Nice, pure acai powder. Fast shipping and great service. 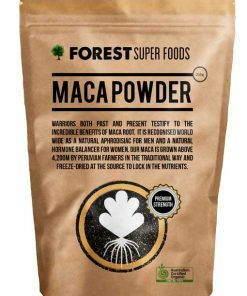 Best Acai powder I have tasted and I have tried quite a few. My breakfast never feels complete without it. It just tastes soooooo good! Like fresh and sweet with a pinch of rainforest!!!! Sprinkle it on anything compatible and it works like magic!!!!!!!!!! I would recommend it to anyone and use it as gifts for anyone!!!!!!!!! Yeah!!!!!!!!!!!!! I’ve tried a number of different acai powders, but this is by far the best. It’s great value for money, is available in a decent volume and is delivered nice and quick. Oh and of course it tastes great – fantastic for a pick-me-up with yoghurt or in a smoothie …. the best way to boost your antioxidants. This is about the 5th time I’ve bought this… Love it! 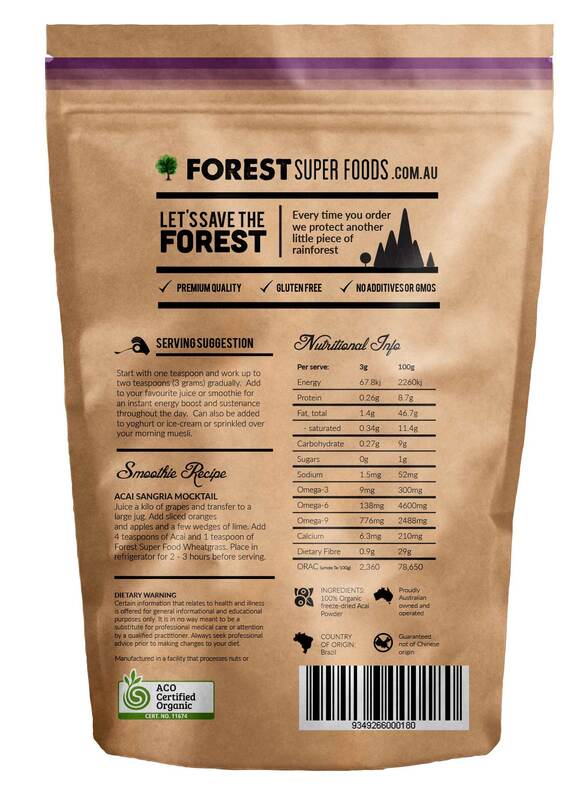 love love love the acai berry powder from forest super foods! 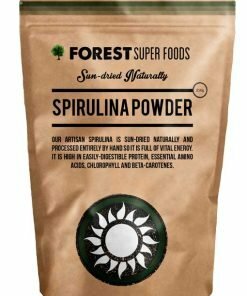 Its my superfood for my morning smoothie and smoothie bowls! Very quick delivery. Excellent quality and great value. I have acai powder mixed with yogult, activated nuts and fresh fruits every morning. Love home made acai bowl! 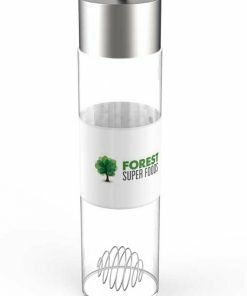 Will definitely buy from Forest Super Foods again. Good product and great value. Awesome speedy delivery, second to none on the quality of the products, so fresh. Thanks heaps, will definitely be recommending to my friends. i love using this in my protein shakes! amazing superfood! Really good value, very prompt at arriving, just remember it’s the powder though not the berries themselves (I got confused)! Speedy delivery, well priced and a great, easy to use product. The powder form of acai is quicker and easier to use than the frozen pulp, especially for a nutrient rich breakfast on the go. 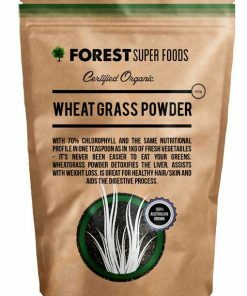 I use it in my morning protein smoothie.I like the slightly crunchy texture and it mixes well with lots of other ingredients and tastes great. I have bought the Acai Powder twice. 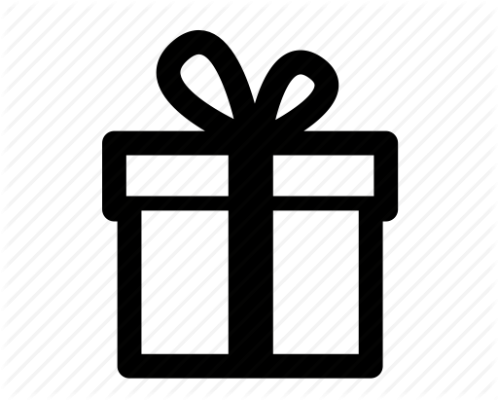 Both times it was delivered swiftly, the latest time overnight. It is an excellent product and actually seems like it is better quality than the “name” brand I was buying. I love this acai powder so much that I have some everyday! Whether it be in my berry smoothie (the powder really makes the colour ‘pop’) or sprinkled over my yoghurt, muesli and fruit in the morning, I can’t imagine a morning without this amazing super food. After consuming it I feel energized and alive for the rest of the day. Added bonus: the taste is just incredible! I love the acai powder for energy and vitality, I put it in my protein shake every morning. Make yourself a smoothie in a minute! Simply add your Super Foods to your favourite milk or juice and shake!